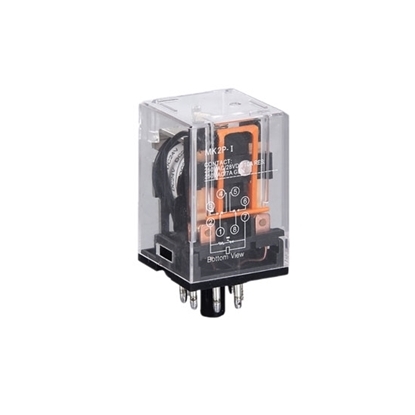 Available for 12/24V DC, 110/220V AC coil voltage, electromagnetic relay is characterized with DPDT contact configuration, 8 pins with plug-in terminals, contact load 10A/240V AC 28V DC. Favorable price and high quality. 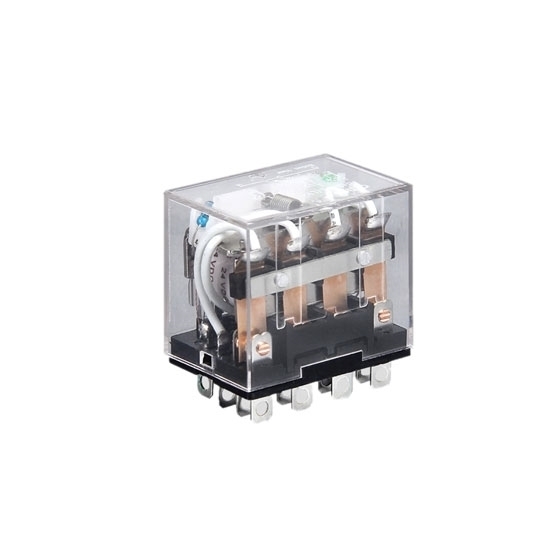 Electromagnetic relay with plug-in terminals, 8 pins DPDT, silver alloy contacts, optional coil volatge 12V DC, 24V DC, 110V AC and 220V AC, contact load 10A/250V AC 28V DC, compact size and plastic housing. 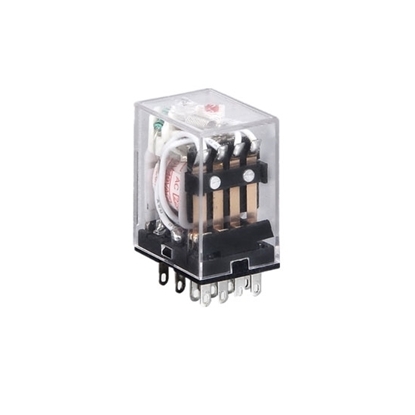 Electromagnetic relay with 14-pin design, 4PDT contact form, and widely used in electronic equipment, communication equipment, automatic control system, automobile, household appliances, instrument and meters, etc. Note: Here just shows the contact form 4PDT, and another contact forms 4NO and 4NC are still available. What's more, please kindly note that other coil voltages are also available(DC: 6-220V; AC: 6-380V). If you have any requirments, please don't hesitate to contact us. Tips: What fators affect the reliability of relays? Average fault interval of relays varies in different working environment. Quality grade has great influence on reliability of relays. SPST relays appear more reliable than SPDT relays with same number of poles. Their reliability reduces with increase of poles. Average fault interval of SPST relays is 5.5 times more than that of 4PDT (four-pole double-throw) relays. Different structures of relays have great influence on their reliability. 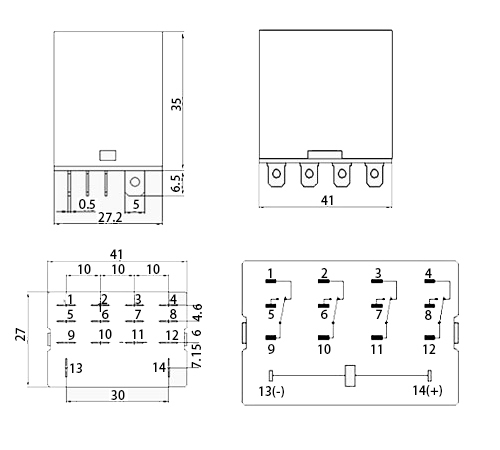 Relays work in a temperature of -25~70℃. Average fault interval of relays reduces with rise of temperature. 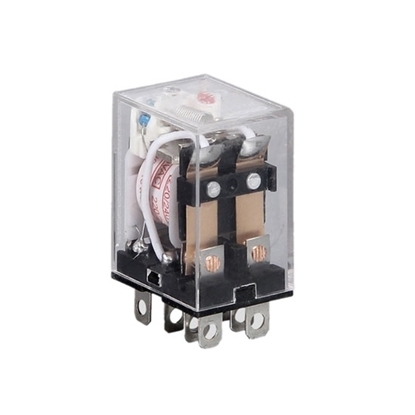 110 V electromagnetic relay, I bought half a month, each function normal use, with a period of time without any problem. 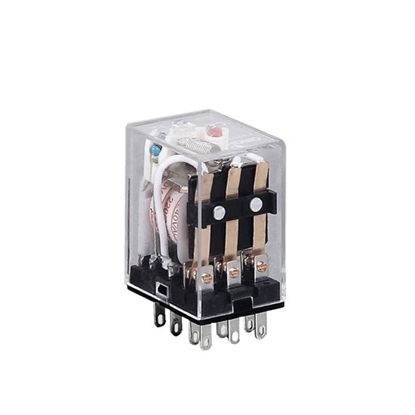 Relay and noise absorption, heat is small, I will continue to observe the usage of relay.